We receive a lot of questions from our customers about finding cheap cartridge options for their printers. One thing that we’ve noticed with many of our customers is that they’re stuck with a printer that really guzzles their ink. In other words, they didn’t buy their printer with an eye on operating costs. In fact, the vast majority of questions came from people who didn’t do research into printers before making a purchase. They didn’t evaluate the options available in the market and instead just bought the one that was recommended at the time. These users are now struggling with the cost of their cartridge replacements. While we’ve taken some load of these people with our generic or compatible ink cartridges, even offering extremely cheap ink cartridges can only help so much when you’ve made the wrong decision at the beginning itself. This is actually a fairly common problem i.e. people buying printers without researching. This is why we decided to nip this problem in the bud by creating this post. Here, we’ll be listing some crucial printer buying tips in our printer buying guide to help buyers make the right choice. If you’ve not purchased a printer yet, then this printer buying guide is just for you. If you’re about to replace your old printer with a new one, then this printer buying guide will help you too. Let’s get down to it then. Is loyalty more important or quality? The reason why most people tend to stick to a particular brand is that they associate that brand name with quality. However, in the printer industry, the printing technology of various brands, their customer service, and the features of their products are usually compatible. This is precisely the first tip of this printer buying guide is that you should forget about brand loyalty. Even though, some printer brands have a specific type of reputation in the market, you need to ignore these. The best example of this can be seen with Kodak. Many people think that Kodak printers are cheaper in general when there are actually models from other brands that are cheaper. If you can’t rely on the reputation of a printer brand or a printer model, then how will you know what to buy? Your answer is the internet. You’ll find a wide variety of reviews online for virtually every printer brand and model. You’ll find reviews from experts as well as from other users like you. After all, aren’t you reading this printer buying guide online? While you shouldn’t blindly believe these reviews, they will give you some insights. For instance, if the majority of the reviews are stating something about a model, then you can be pretty sure that that opinion is based on facts. While you should delve into online reviews, what you should avoid believing are the recommendations available at the store by the salesmen. Even with the help of online reviews, you’ll not find it easy to come to a final decision because you’ll come across many printer models with great qualities. You need to understand that there are different segments of printers. While multiple models may be excellent, all of them won’t be excellent for you. The reason for this is that different printer models have different capabilities and qualities. This means that they’re suited for specific types of use and not all. So, the next tip of this printer buying guide is for you to specify what you need the printer for. The best way to do this will be to envisage the coming six months. Additionally, if you can answer the following questions then you’ll get an idea of your requirements. Will I require colour printing? How often will I print in colour? Do I need remote access? Will I be open to using generic ink cartridges? It’s true that ink cartridges are expensive. Even the most economical of ink cartridges is more expensive than a rare bottle of Champaign. While this is undeniable, people actually make it worse for themselves. How do they do this? They do it by not considering the cost of the cartridges of the printer they are buying as well as their capacity. Every ink cartridge comes with a specific capacity defined in terms of a certain number of pages. 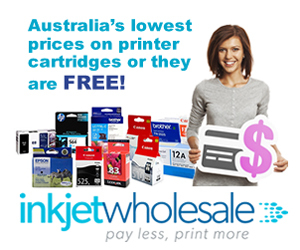 Every ink cartridge also has a price. You can use these numbers to come up with a value for how will printing a single page cost you with the printer that you’re considering. Resultantly, you will be making an informed and measured purchase. Every printer comes with additional features. 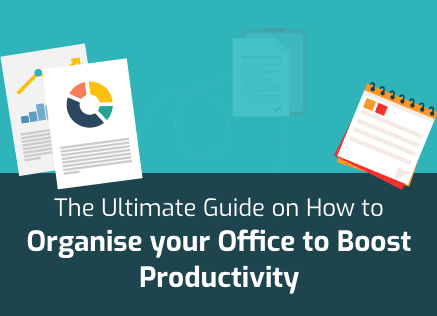 These features could be completely redundant for you or they could make a world of difference in your personal and professional life. No printer buying guide can be complete without explanations of what various features are. So here are some descriptions of the various features you’ll find in the modern day printer. Air Print: Air Print ensures that the printer you’re buying is compatible to Apple devices like iPhones, iPads, and iPad Touches. This will allow you to print things from your Apple devices. Cloud Print: Cloud Print is Google’s service that can be used to send print commands over the internet. It’s useful if you want to be able to print remotely. Duplex Printing: Paper is one of the consumables of printers. You can cut down on your paper usage with automatic duplex printing feature. This feature will result in your printer printing on both sides on every page. Automatic Feeder: Will you be copying a lot of documents together? If your answer is yes, then you’ll need your printer to have an automatic document feeder feature. Connectivity Ports: Certain specific uses of printers require certain specific connectivity features. For example, if you plan on printing a lot of photos, then you may want to buy a printer that supports memory cards. Energy Conservation: Manufacturers have also started focusing on making their printers more energy efficient. So, if you’re interested in power savings and protecting the environment, then you may want this feature in your chosen printer. At the end of the day, the best printer in the market will be the one that fulfils all your requirements and expectations. For example, if your primary purpose will be to print text, then a colour printer would most probably not be an ideal fit for you. Similarly, if you’re an Apple fan and all your devices are from Apple, then you simply can’t do without the Air Print feature and any printer without it would be less than perfect for you. In conclusion, every point and aspect of this printer buying guide boils down to one thing and one thing alone. There is no mythical perfect printer in the market. If a salesman, website, or reviewer tries to put one particular printer above the rest, then you need to be a little more sceptical. Just make sure that you measure and weigh every little aspect while buying a printer and you’ll be fine. When you talk about cost per page for laser printers – what are you including? It it just toner or does it also include items like drums which have a limited life. Lastly, does it also include things like the original purchase price. I have been looking at a Toshiba eSuite 2555 and have been told that the cost per page is 0.6c for black and 6c for colour. I don’t understand how to do a fair comparison with other printers. The simplest thing will to do will be to calculate your own running cost as different websites and experts have different assessments. Moreover, everything from the cartridge size (yield) to the source of the cartridges (Generic or genuine, discounts and offers) will have an impact on the running cost. Even the page coverage percentage has an impact on this. For example, some include drums and paper cost while others don’t. Most mentions online should be taken as approximates. If you want something highly specific then you should calculate independently and include the cost of all replaceable components but that will make it quite elaborate. As it is, you should get a fair idea by just calculating with the cartridges and their output. 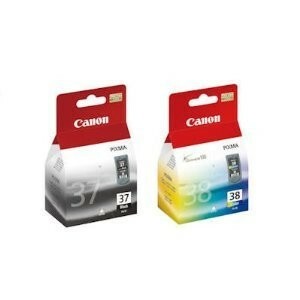 Basically, just divide the cost of the cartridges by the number of pages stated on the cartridge and you’ll get a value that you can compare without worries.